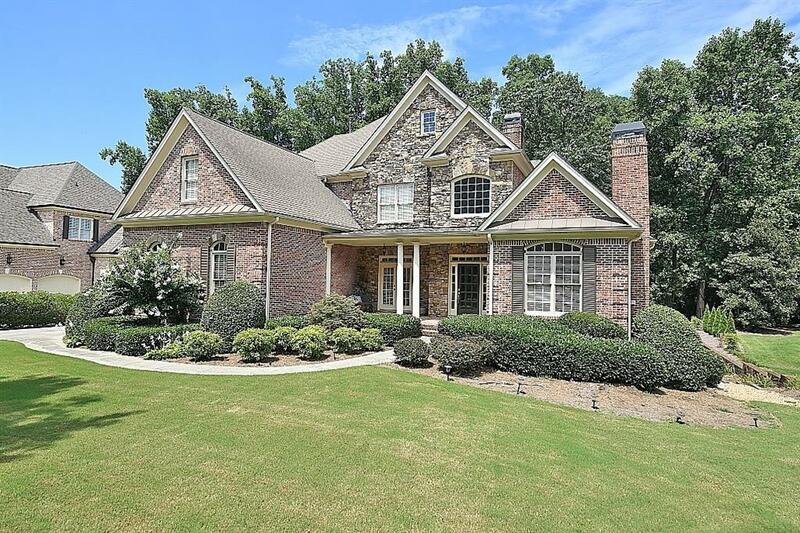 5 Bedroom, 4.5 Bath Custom Brick Home in Chateau Elan! Master Main with Spa Bath, Private Study on Main w/Fireplace. Spacious Family features Coffered Ceiling, Fireplace & Brick Accent Wall which opens to "Must See" Chef's Delight Gourmet Kitchen! Working Island w/Prep sink, SS Appliances, built in Refrigerator & Hidden Pantry! Upper: 3 private Suites, Open Media Room, Walk in Closets & Children Play Room. Finished Lower level with Serving Bar, Rec Rm, Bedroom Suite & More! Front & Back Staircases, Hardwood Flooring Throughout, Wonderful Private Wooded Backyard!